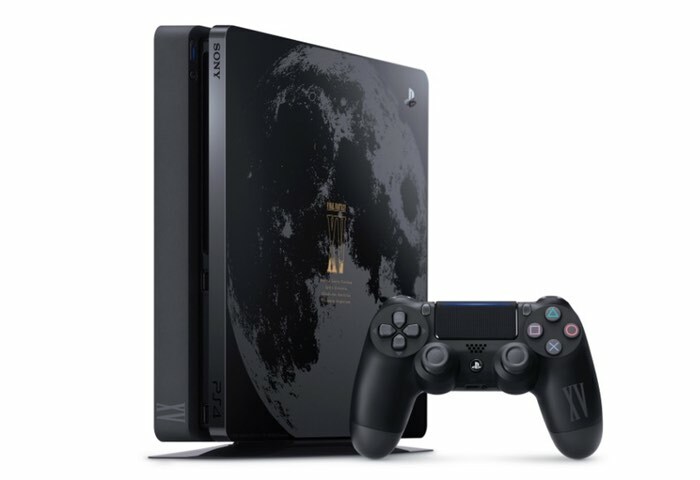 Yesterday Sony unveiled a new limited edition PlayStation 4 Final Fantasy XV version of its new Slim PlayStation 4 which is going to be made available in Japan to start, but it was unknown whether the console would be made available further afield. John Koller Vice President, PlayStation Brand Marketing at Sony has today taken to the official PlayStation blog to announce that the Limited Deluxe Edition Final Fantasy XV PS4 Bundle will thankfully be available in both the US and Canada priced at $449 or $549 CAD. The new Limited Deluxe Edition Final Fantasy XV PS4 Bundle will be officially launching on November 29th, 2016 and is sure to be a hit with Final Fantasy fans. Unfortunately no details of a PlayStation 4 Pro version of the bundle of being unveiled, which is a little disappointing. Sony explains a little more about what you can expect from this new PlayStation 4 Slim version. This custom version of the new slimmer, lighter PS4 model comes with a 1TB HDD, and features a large illustration on the front of the system. The box also includes Final Fantasy XV with an exclusive Steelbook, the new DUALSHOCK 4 adorned with an XV graphic, the Kingsglaive: Final Fantasy XV Movie Blu-ray, and multiple pieces of DLC – the Royal Raiment Outfit, Masamune Weapon, and Leviathan Regalia Skin. This bundle will be available exclusively at GameStop or EB Games in Canada.